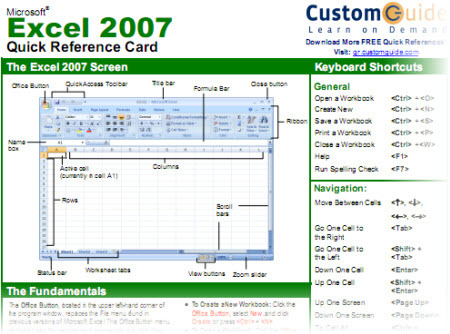 CustomGuide has a great resource for quick, easy to use reference sheets for popular programs such as MS Office, Mac OS, Adobe products, and more. Don’t miss out! These are free PDFs you can download, save, and print. No signup required. This entry was posted on Thursday, September 24th, 2009 at 6:00 am. You can follow any responses to this entry through the RSS 2.0 feed. You can leave a response, or trackback from your own site.